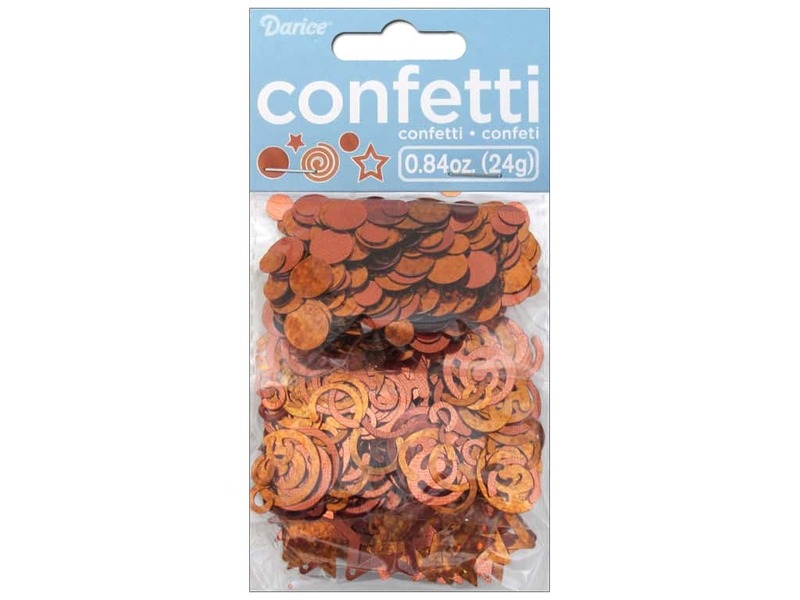 Description: Darice Confetti Packs are perfect for decorating baby shower, gifts, wedding, birthdays, or just scatter on tables for an accent. This pack includes different sized dots, full and half swirls, and different sized stars. Colors are Orange foil and Orange holographic sparkle. Largest measures approximately 1 in. 0.84 oz.